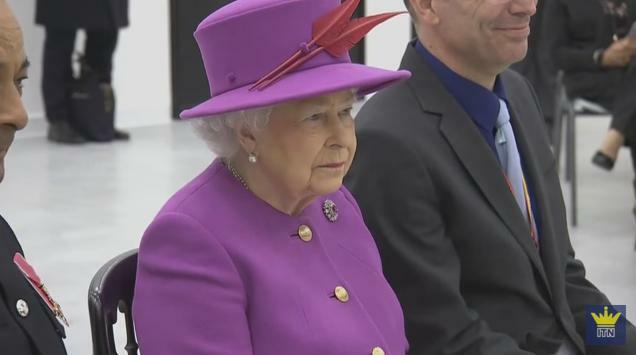 Today: The Queen visited a Queen's Trust beneficiary, Lister Community School, in Plaistow, East London. For more: Telegraph article and video, ITN video, Zimbio gallery. March 2: The Queen held audiences at Buckingham Palace. After all my whining about not being able to see brooches at audiences, we've finally got one that's identifiable. Hilariously, it's one I probably would have guessed with or without the clear view.